Crimson red, sunset orange, brilliant yellow – the dress-up attire of fall regales the world with vibrancy and beauty before the long, drab weeks of winter. 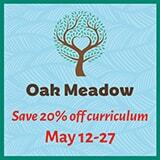 And, as homeschoolers, we can make sure that our kids get to indulge in it! 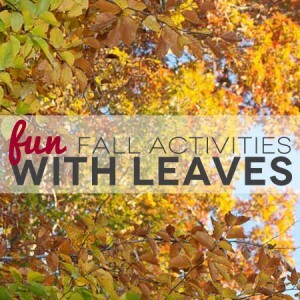 There are so many fun, creative, and educational activities that are leaf-themed! Even if it doesn’t perfectly complement your regular curriculum, take a break at least once to indulge in some autumn leaf learning and creating. After all, the indoor days of winter are coming soon enough, when you can hit the books with gusto! Preserve leaves – Those fall colors are so glorious, but they fade all too quickly. One of the best fall activities for children is to help them learn how to preserve leaves, so that they can keep all of those autumn collections looking beautiful long after the season is over! Home Made Simple [Ed: no longer available but can be found at the Wayback Machine without the graphics] supplies two techniques: Glycerin Preservation and Silica Preservation. Leaf Rubbing – Sometimes the classics are the best; if you haven’t ever done this, it’s one of the best ways to help illustrate the specific details of different leaves. For instructions, visit FirstPalette or watch a video by CandidMommy on how to make a leaf rubbing. Leaf Mobile – Have kids gather leaves, sticks, pinecones and other natural fall items. Use the items to create a mobile. Children must practice with balance to get the mobile to hang correctly! Check out Red Ted Art for an example and instructions. Leaf Numbers & Letters – Use fallen leaves to spell out numbers or letters on the ground, for young children learning to read and count. When the child correctly identifies the number or letter, pick up the leaves and dump them on his head! Coffee Filter Leaves – Cut leaves out of coffee filters, and draw veins on them with a glue gun. Then use watercolors to decorate! Having Fun at Home provides photos and details. Aluminum Foil Leaves – Glue a leaf to posterboard, and then cover with aluminum foil. Rub over the leaf with a paper towel until its impression comes on to the foil. Rub over the impression with brown shoe polish to make it stand out. Mom It Forward offers instructions and photographs. To be even more educational, this project can be used to exemplify the art of Lorenzo Ghiberti, Italian Renaissance sculptor who was known for his work with bronze. Leaf Scavenger Hunt – Every homeschool needs some fun and games interjected into it from time to time! Use a book on local flora to study the types of leaves in your area. Then gather about 10 or 12 different kinds of leaves, and let the kids go on a scavenger hunt! Hide the leaves around the house, and have the children be detectives to find each leaf. When they do, they must answer some questions about each leaf. When all of the leaves have been found and questions answered, students get a prize! For sample questions, as well as a leaf template (if you prefer to make your own leaves to hide, rather than hide real leaves) check out Lasso the Moon. 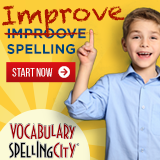 Leaf Garland – What homeschool couldn’t be jazzed up by some fall decorations? Children can choose their favorite leaves, and then cut out small pieces of straw to tape to the back of each leaf. Then string the straws onto a long piece of rope or string, and hang up your garland! Lorajean’s Magazine includes beautiful photos and clear directions. Leaf-Shaped Bowls – Choose some leaves from outside, and then use clay to have children make leaf-shaped bowls that look like the leaves they found. This helps children pay attention to the details of the leaves, and creates a wonderful keepsake! Red Ted Art provides photos and instructions. For a homemade clay recipe, check out Homeschooling Ideas. Leaf Graph – Give your Math lesson a jolt of fall. Take a walk to find a variety of leaves of different shapes, colors, sizes, and types. Then have children create a graph to show the numbers and different categories of leaves obtained. Leaf Art Creations – Gather a variety of leaves of different sizes and colors. Children then create a scene or picture with their leaves by affixing them to a piece of sticky contact paper. Confessions of a Homeschooler gives photos and examples of children’s art from leaves, including a flower, elephant, bird, Tinker Bell, and even Jesus! When finished, attach another piece of contact paper to the top of the creation, and hang in the window. Also check out TLC Parentables for more leaf art creation ideas and photos! Photograph a Tree – Older students can gain photography skills (and appreciate nature) by photographing one tree once a week, beginning right before the leaves start changing color, and ending when all of the leaves have fallen off the tree. Have students focus on photographic techniques such as backlighting in order to get the best photos of their tree, and then have them print out the photos and put them together in sequence, so display the season’s changes. The Changing of the Seasons Tree – Help children recognize the passing of the season while incorporating some art and decoration into your homeschool at the same time! Gather a stick (or group of sticks) that has a tree-like shape, and put it into a large vase. Decorate the tree with season-appropriate leaves or decorations. The leaf rubbings, or coffee filter leaves above could be used for this project. More information, as well as decorating ideas for all four seasons, can be found at Homeschooling-ideas. Guess the Leaf Color – Teach children how chlorophyll hides the other pigments that are in leaves with this science project! Kids should gather green leaves of different types, and then guess what colors the leaves will turn in the fall. Then have students tear each leaf into pieces and then put them into alcohol; the alcohol will absorb the leaf’s pigments. Students will be able to dip a strip of coffee filter paper into the alcohol, to see the different colors in the leaf, after about 30-90 minutes. For details on how to conduct this experiment, check out Home Science Tools. For another version of the experiment, as well as a scientific explanation of what is happening, consider Education.com. Leaf Symmetry – Teach children the concept of symmetry with this easy art project. Collect several different types of leaves. Cut each on in half, and glue one half of each leaf to a piece of paper. Have your student draw the other side of the leaf, and then check his work by comparing his drawing to the real other half! Afterward, let students embellish their drawings as they desire. Connections Academy has photos and instructions. Spend this fall enjoying your children and making the most of the beautiful foliage! These are great fall activities.Thank you for sharing. Thank you Tanya! I love the autumn art activities! Such a lovely time of year.